Where are you from? Your profession? I am a retired Project Engineer/ Project Manager from Birmingham Alabama. Where is your favorite place to paddle? 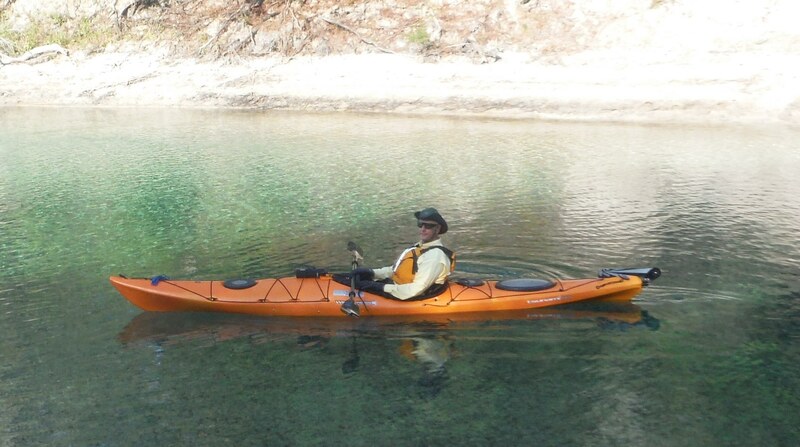 My kayaking phase began in 2008 with an article appearing in the Birmingham News regarding the Paddle Florida's inaugural Suwannee River trip. Since then I have enjoyed about a dozen Paddle Florida trips. I would have a difficult time selecting a favorite. I liked the beauty of the Ichetucknee and Santa Fe Rivers, the wildlife on the Peace River, and the thrill of paddling island to island in the Keys. What’s the most memorable thing that’s ever happened to you on a paddling trip? The fantastic lightning display from inside my tent during last years Ochlocknee paddle.